The progression of social media over the past decade has seen changes in marketing and product development to suit a technologically dominated society. As a result social users who regularly post content online and gather, say 100 thousand followers plus, have become an advertising tool for companies. These ‘influencers’ are our generation’s answer to the by-gone rockstars of the ‘80s, we strive to be like these people, hold them to a celebrity status, digesting their experiences and opinions as if they are our close friends. Influencer has become a status, either achieved unintentionally or deliberately and enables a strange responsibility to influence a significant audience. However, this influence can be abused - used to disingenuously sell ideas and products with the sole intention of making money - and it’s something we continue to see on our feeds day in, day out. 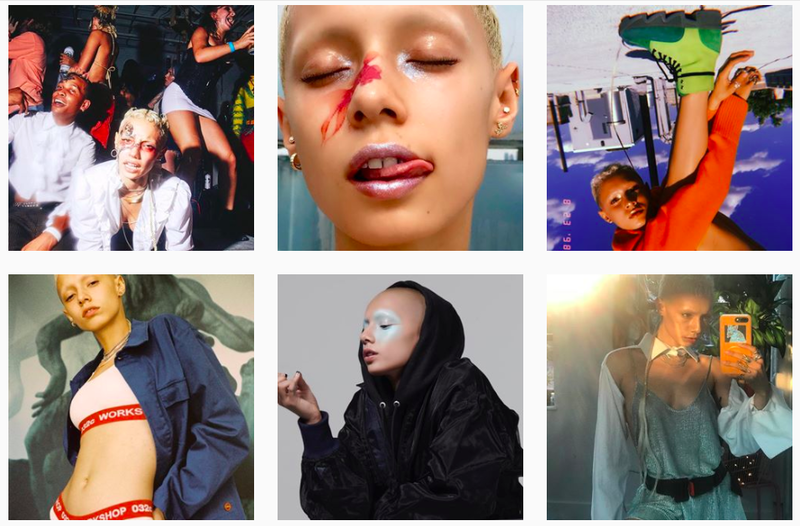 While some influencers constantly mull over the harmful affects of social media on mental health, these apps have the power to champion connectivity, creativity and activism, with some choosing to use their platforms as a force for change. It got me thinking, what’s the point in paying attention to these influencers if they’re not making an positive impact? So, I’ve compiled a list of seven influencers, coincidentally all women, who I think are worth following for the empowering, positive and refreshingly normalising messages they communicate through their social media and creative content. We watched her grow up on the iconic Australian soap; ‘Neighbours’, and now she’s an actress and social activist. Running an Instagram page full of light hearted humour and stripped back images. Caitlin also created the website herself.com alongside “three passionate feminists hoping to make the world a better place”, which shares female orientated intimate photos and touching interviews which confront issues of sexuality, gender and conflict. Australia’s own, Bali based photographer, director and model; Yasmin Suteja is currently making waves in the world of fashion photography. Working with Frank Body on their ‘Anti-Casting Call’ campaign - a blind casting call for a new brand promoter, solely based on what they have to SAY, rather than how they look. Using her platform “to spread a message worth sharing”, Yasmin’s work continues to confront conventional ideals. And, if you haven’t yet heard of her, it’s more than likely you’ve cackled along to her brother’s viral videos - Kai AKA @urmumsyadad. Ghanaian-Australian DJ, MTV Presenter and beauty and fashion personality, there’s nothing Flex can’t do. Bringing out her E-Book earlier this year, #FullTimeFlex, is a “simple 3 step guide to manifesting”. Flex proves she can do both; business women and style queen. Currently reviewing period accessories, such as THINX underwear and the Diva Cup, on her Instagram stories, she continues to normalise unnecessarily taboo topics such as menstruation and our relationships with our bodies. British activist, model and founder of GURLS TALK; an online based safe space for discussion on topics important to her, and her audience, such as “mental health, race, sexuality”. Currently an ‘it’ girl in the luxury fashion scene, Abwoa portrays beauty in a raw and natural way and uses her voice to champion women and their abilities whilst remaining open about her struggles with self image and addiction. A model based in the USA, Sophie uses her Instagram account to keep her 20k followers up to date on the latest in human rights movements and politics. 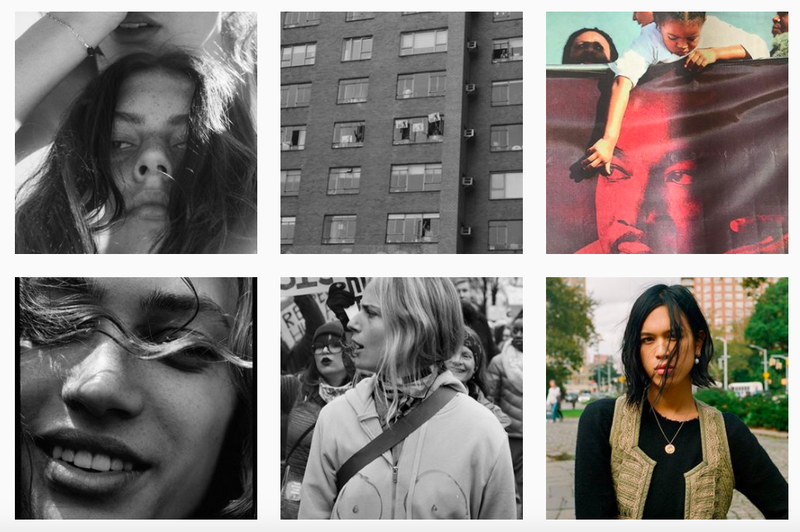 She consistently reminds her audience of their right to vote, and when that right should be exercised, alongside photographic coverage of rights, protests and the people behind such social movements associated with gender, sexuality, human rights and representation.